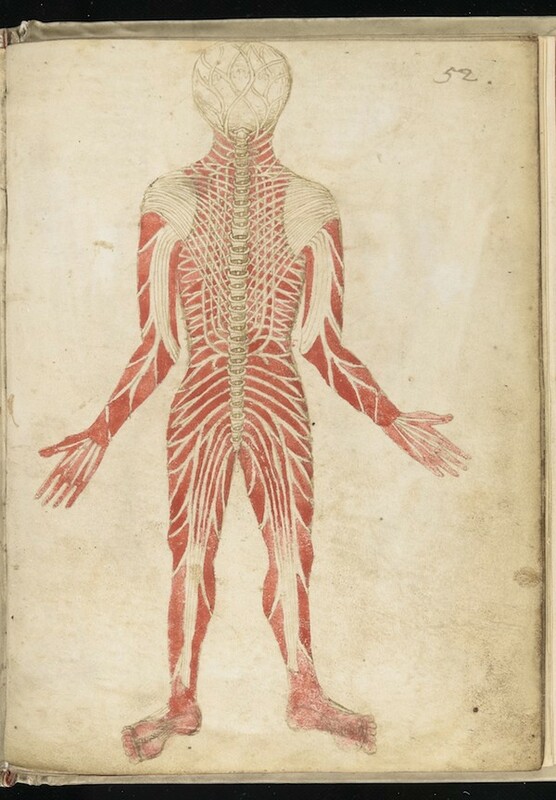 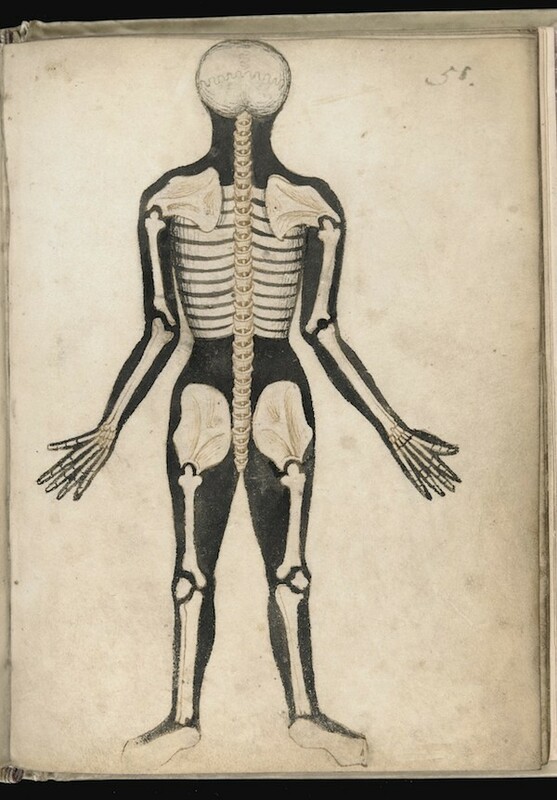 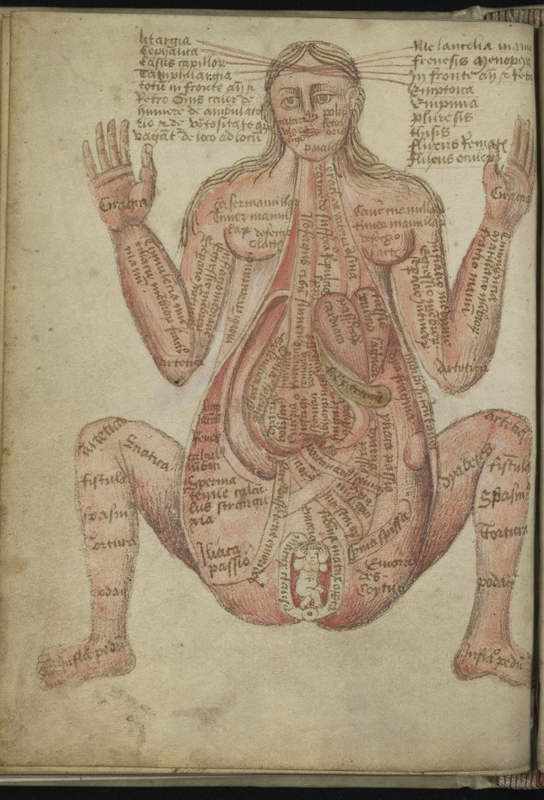 Anatomical illustrations from an English medical treatise dating from the mid 15th century. 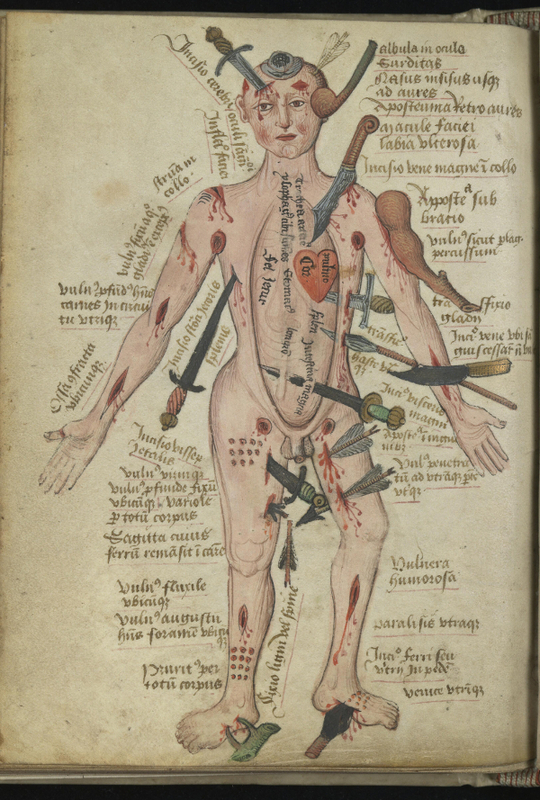 Amongst the images — which show both the outer as well as the inner structure of the body — is the striking “wound man” illustration, depicting a man who has been stabbed, bitten, and wounded by arrows, as well as bludgeoned in the arm and head. 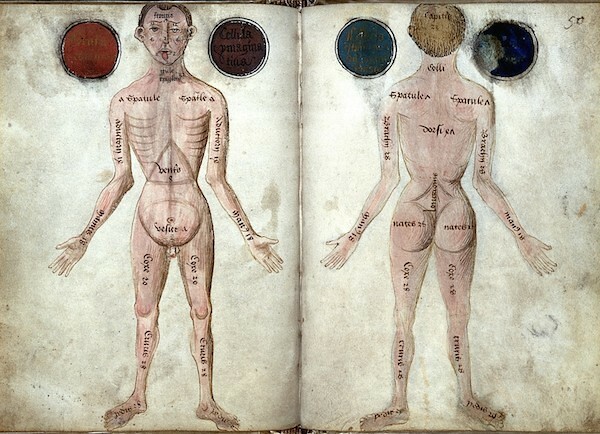 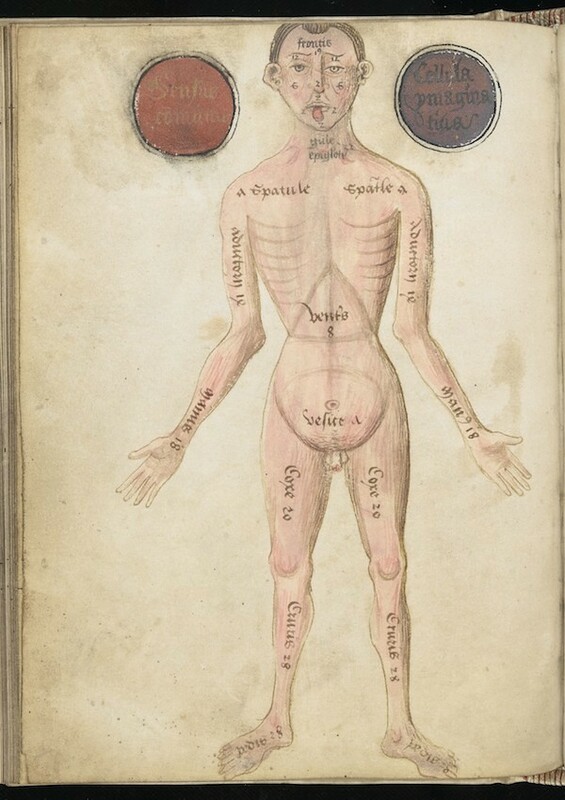 Although the exact purpose of these “wound man” images — which appear in numerous other 15th and 16th-century works — is not known, they appear to be some attempt to communicate all the different injuries to which the body can be subjected, in some cases offering up accompanying treatments. 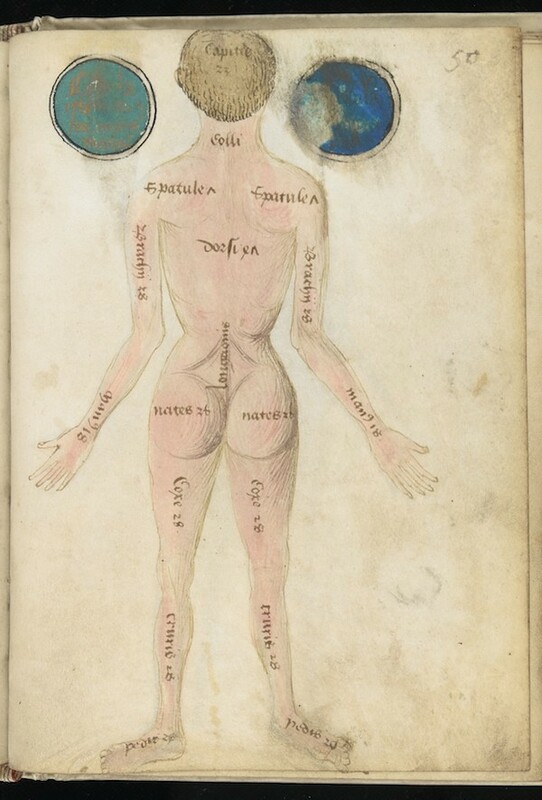 The author of this particular treatise is unknown, though it is attributed to Pseudo-Galen, meaning that the inspiration for the work might have come by (or it is attempting to be passed off) as the work of the Greek physician Claudius Galenus, also known as Galen of Pergamon (AD 129 – c. 200/c. 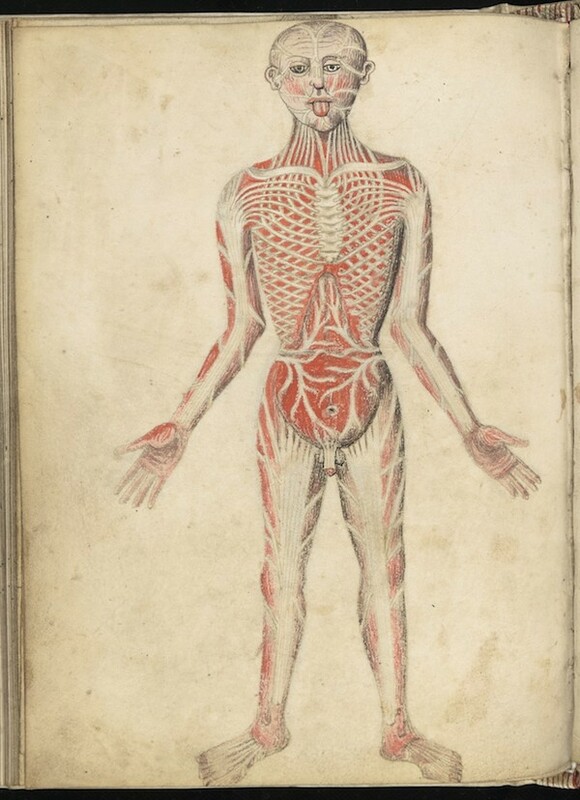 216), who wrote extensively on medicine. 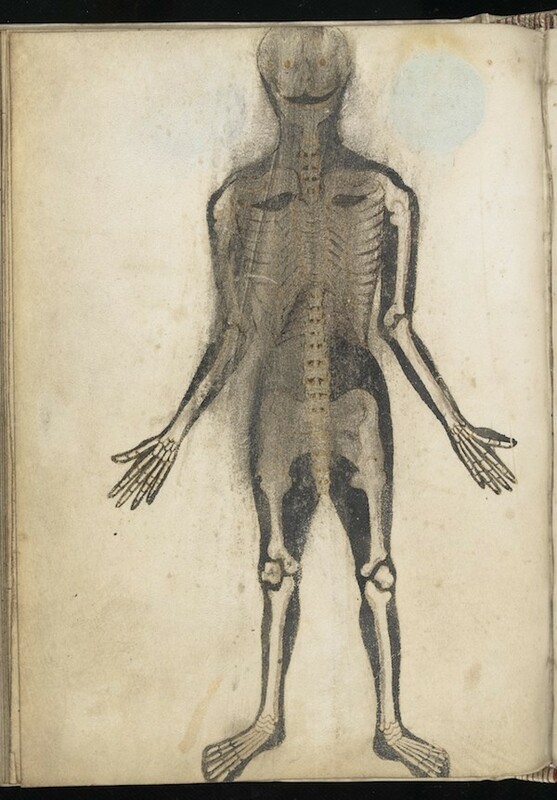 The illustrations in this treatise, in addition to possessing a certain naive charm, are of interest as being the prototypes of those found in Johannes de Ketham’s Fasciculus medicinae, first printed in 1491.